Voila Roxanne Leather Tote Bag we created for you, elegant and simple women who love classic, vintage designed leather bag, the perfect companion for your everyday daily activities, like going to the office, hanging out with friends and relatives. 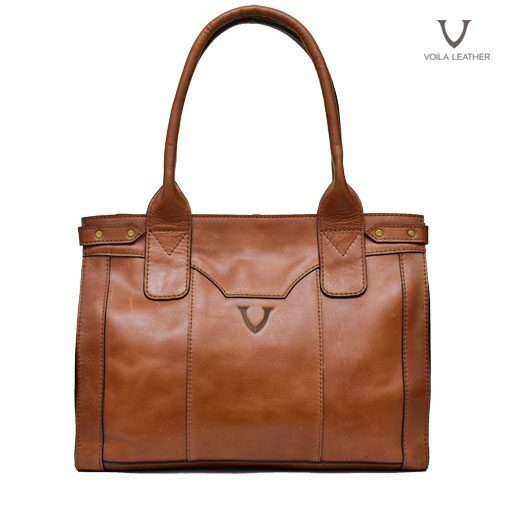 This classic designed leather bag is suitable matched with your office attire and casual outfits. 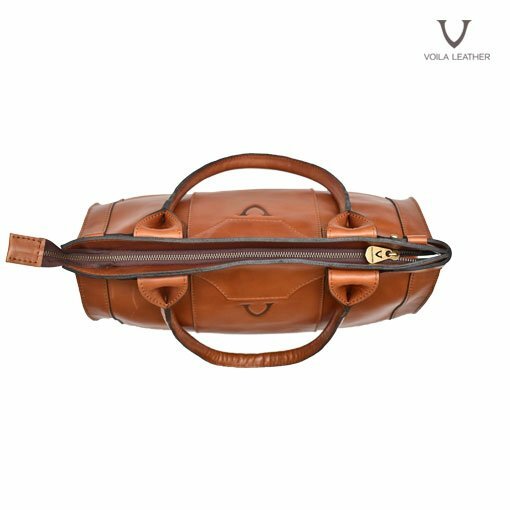 If you are an adult women who love and are looking for an original classic genuine leather bag, Voila Roxanne deserves a spot in your bag collection shelf. Function : Workbag, Office bag, Travel bag, Everyday daily bag. 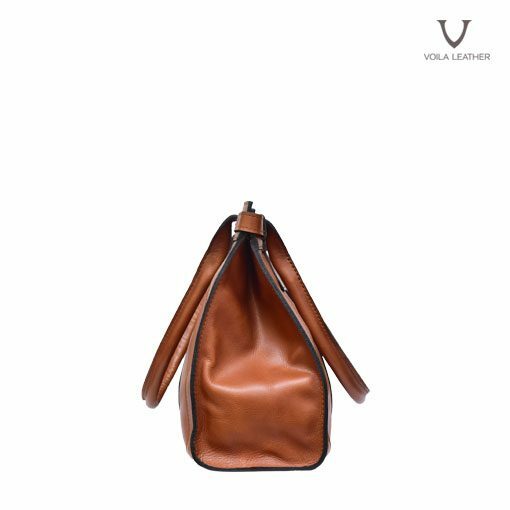 Voila Leather present a new released leather tote bag named Voila Roxanne Leather Tote Bag, designed and created for you, classic vintage leather bag lovers. 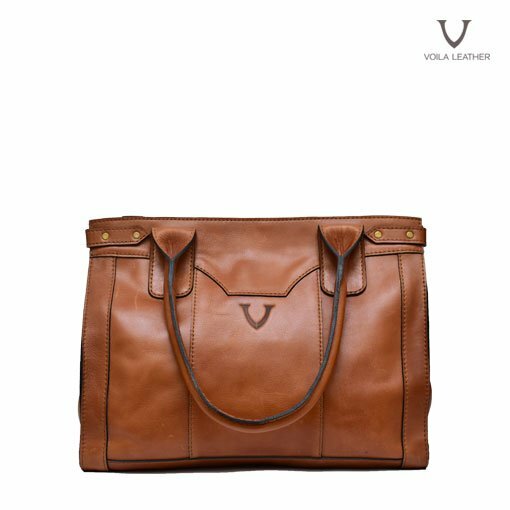 Voila Roxanne is designed classy, elegant classic, simple, handmade by our experienced professional leather craftsmen using premium leather, makin Voila Roxanne Tote Bag one of our masterpiece. 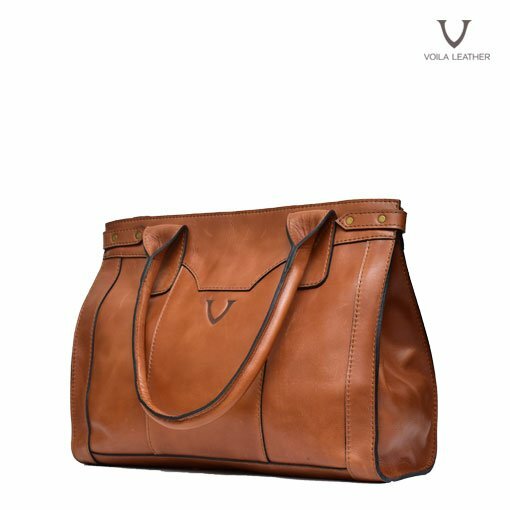 Voila Roxanne is made of premium pull up cow leather in its original genuine leather color, complemented with lengthy handle for you to wear it on your shoulder – a classy, elegant, simple tote bag. This is a beautiful bag. 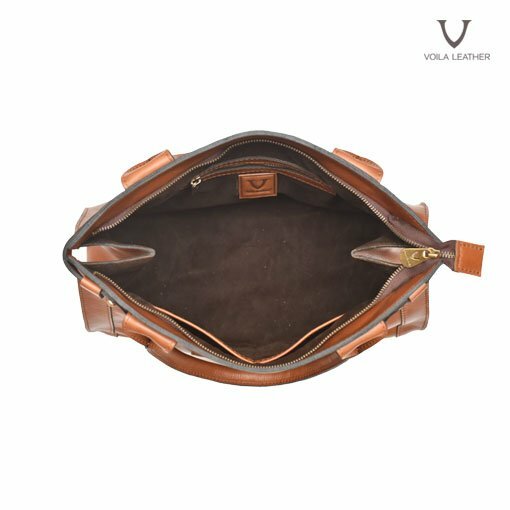 Voila Roxane Leather Tote Bag spacious interior is wrapped with velvet suede for your valuables safekeeping, and completed with two inner pouches and one bigger zippered pocket so you have many choice for keeping your valuables.